Flammable Street Vandal Series by Zak Mini Monster x 400ml Beijing! A throwback to the old days of the Designer Vinyl Toy world we feel with the introduction of the Flammable Street Vandal Series by Zak Mini Monster x 400ml Beijing! Russian artist, Zak has been inspired by street culture, street fashion, sneakers culture & graffiti, and has set about creating his first toys with the help of 400ml Beijing (one of the first graffiti studios out of China). Meet Can Boy and Bomb Boy!! 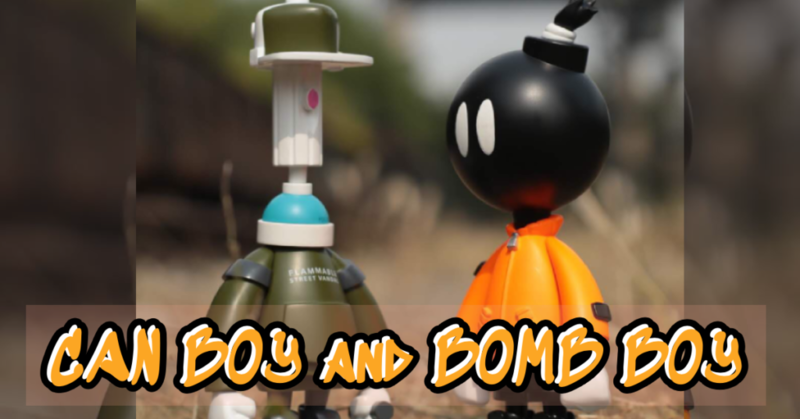 Available now as a pre-order, Can Boy (seen above) and Bomb Boy (seen below) both stand at around 7.8inches tall (20cm). Priced at $150 each (£114), both are limited to 40 pieces each. You’ll need to drop a DM to @zakminimonster on Instagram to pre-order. We wish folks would look into setting up an online store for drops, to make it easier on the customer to purchase. Plenty of options out there that are easy to set-up & manage. So much easier than trying to DM an artist. Go check out Zak’s street art & other work on Instagram HERE.